All of the Madame Alexander dolls in this section are all original, mint in original box with handtag. 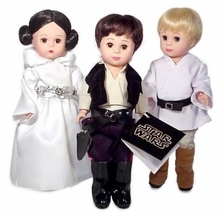 Due to their limited availability, any one of these special dolls would be a valuable addition to any collection. The following retired Madame Alexander dolls are all mint in original boxes with handtags attached. All of the dolls pictured are available. When a retired doll is sold out, it is deleted from the site. 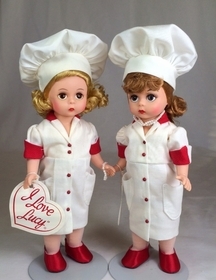 Retired dolls are final sales and can't be returned or exchanged. They are all checked very carefully prior to being listed and again before they are shipped.